Make Your Child's Special Day EPIC! 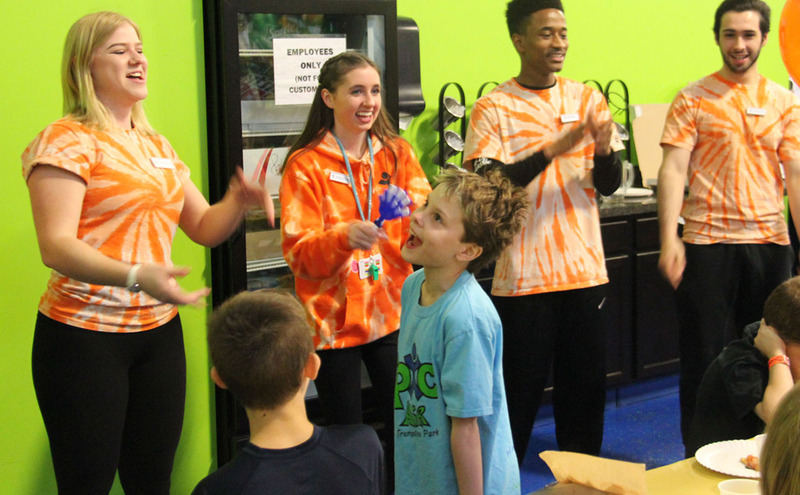 Take the excitement and happiness of your child’s birthday party to the next level at Epic Air where kids can literally jump off the walls! Over the last 6 year's we've held the tag line 'Not All Trampoline Parks Are Created Equal' close to our heart and hosted over 7,000 birthday parties. 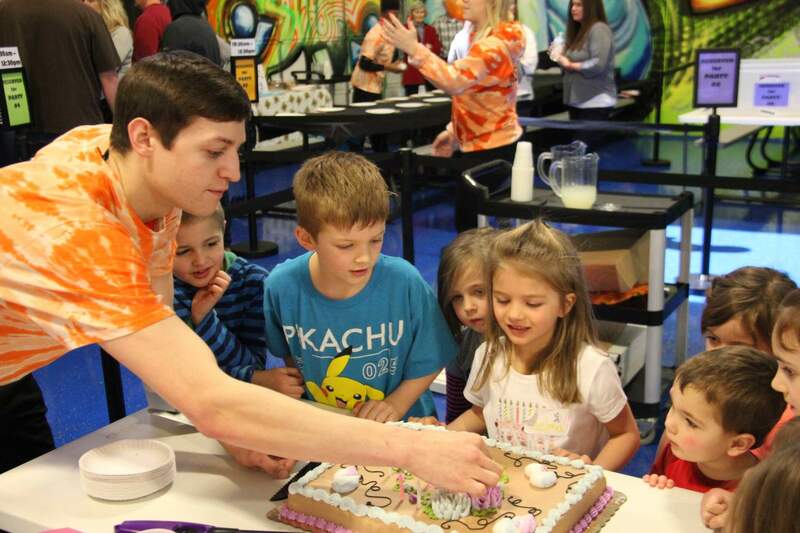 Most of all, our trampoline park and party hosts are filled with energy, fun, and service to help you make memories that will last a lifetime. Epic Air proudly serves Nancy's Pizzas - gluten free options available! Click here for our new private party package. 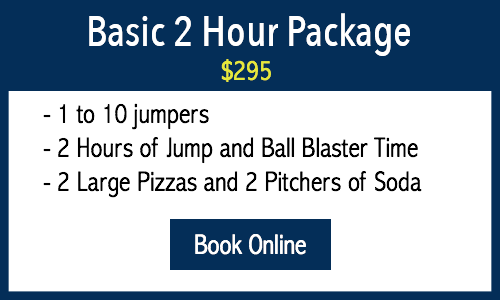 *All Day Jump and Ball Blaster time is valid from the schedule start time of birthday party until Epic Air closes (please see Hours and Pricing). No re-entry on All Day Wristbands. 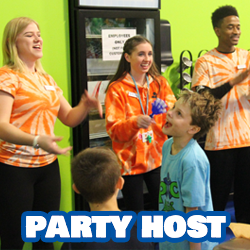 ♦ PARTY HOST - That interacts with the birthday party and pays extra attention to the guest of honor for the duration of the party. Party host also manages set up, check in, and clean up. ♦ RESERVED TABLE - In our bright and energetic party area for 2 hours. Need more space or looking for an exclusive experience? Ask about our deck and Xbox upgrades. 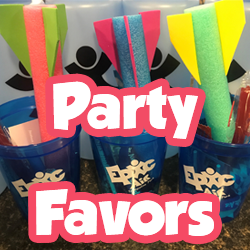 ♦ PARTY SUPPLIES - Epic Air will provide a colored table cloth, plates, cups, napkins, and forks. ♦ PRIVATE DODGE BALL GAME - Be ready to record this EPIC game! Your private Dodgeball game is MC'd over the load speakers play by play while the guest of honor is given a competitive edge with 3 lives! ♦ T-SHIRT - For the guest of honor. 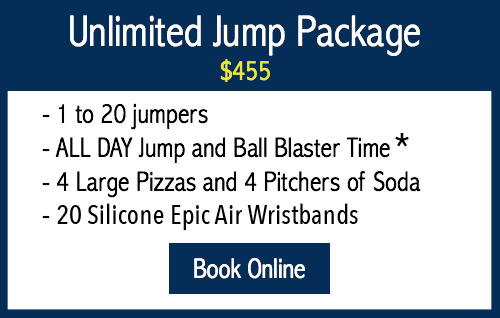 Your child will also get a free slushie each time they wears their t-shirt to Epic Air for future jumps. ♦ BIRTHDAY WHEEL - One Birthday Wheel spin for the guest of honor. ♦ INVITATIONS - Printable and evite options. ♦ SOCKS: Can be added to party bags for a discounted price of $1.50/pair. All jumpers are required to wear Epic Grippie Socks which can be purchased for $2. 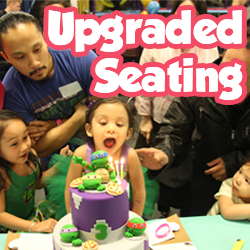 ♦ SEATING UPGRADE: Give the kids an extra epic experience! 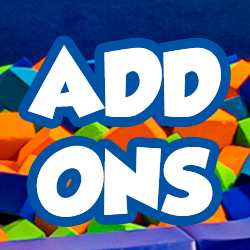 Upgrade a basic or unlimited package for $75 for extra space on deck or in the Xbox area. You'll be in the center of all the action! ♦ PIZZA: $20 for each additional pizza (Cheese, Sausage, or Pepperoni). 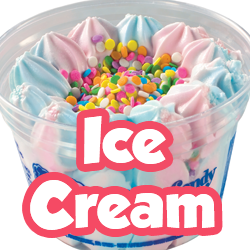 Additional toppings $2 each. ♦ CATERING MENU: Exclusively for Family Packages! Choose from salads, wings, deep dish, and more! View menu here. $100 non-refundable deposit at time of booking for Unlimited and Basic Package. 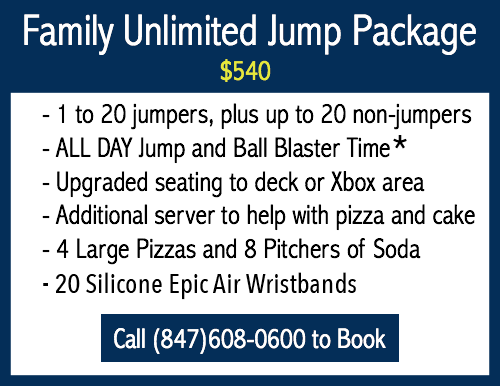 $200 non-refundable deposit required for Family Unlimited Jump Package. No outside food or drink is allowed with the exception of birthday cake. 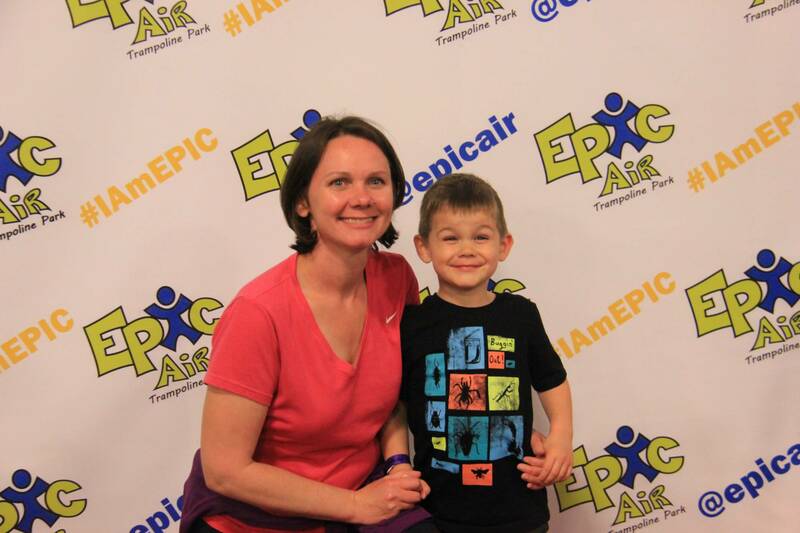 Please note that Epic Air does not provide birthday cakes. Fill out the following form and we will contact you to reserve your party.